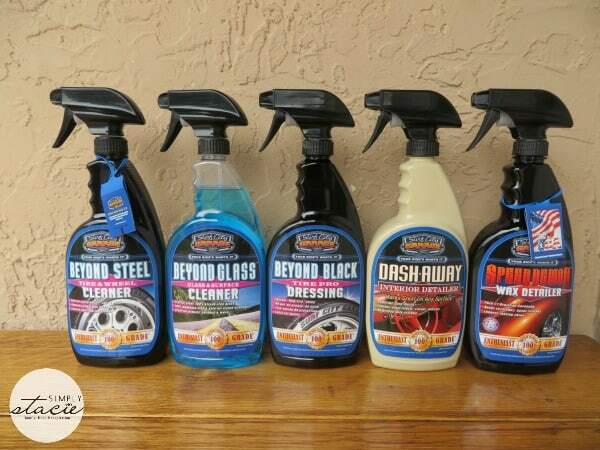 My husband takes our auto care very seriously so when we had the opportunity to try out several products from Surf City Garage he jumped at the opportunity. We have two trucks that he likes to keep clean and detailed with particular attention paid to the tires. Surf City Garage is a car care products company “made by enthusiasts for enthusiasts” that has a wide selection of products specifically designed to help restore and maintain cars and trucks. In fact, Surf City Garage has its own collection of over 125 vintage muscle cars which are kept looking great by using their own products! Proudly made in the USA…… from polishers, microfiber wipes, grit guard washing systems, detailing tools, waxes, leather care and much more there is sure to be the perfect auto care products that you will need to proudly show your car or truck from Surf City Garage! 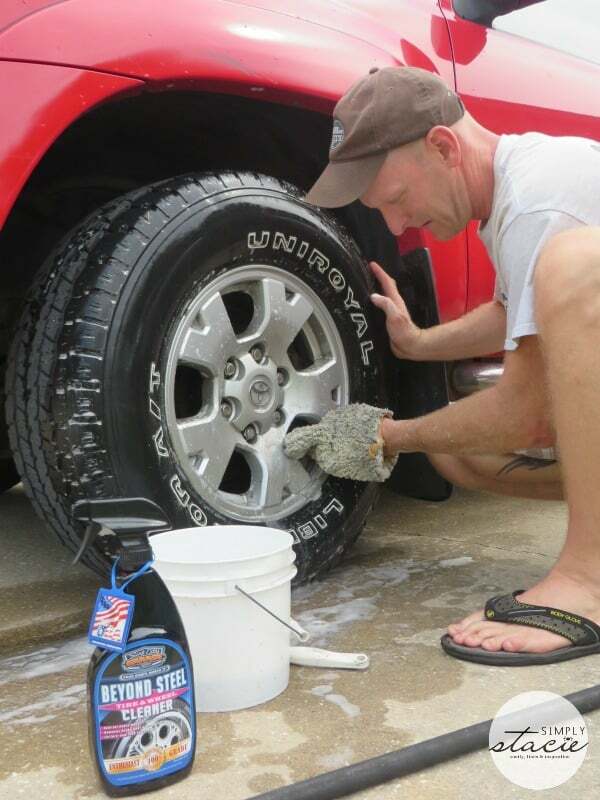 Dirty tires and wheels drives my husband crazy so he was excited to use the Beyond Steel Wheel Cleaner (SRP $9.99) which is designed to quickly remove dirt, brake dust and grime from wheels. Since this product can be used on all tires even specialty ones, he simply sprayed it onto the wheels and tires and let it sit for a moment and then using a gentle brush to lightly scrub the areas. After rinsing with water he reported that this product works exceptionally well and it is one that he plans to keep on hand for use in the future. Taking it a step further into clean tire nirvana is the Beyond Black Tire Pro Dressing (SRP $12.99) which made our tires look like new. We live in Florida with harsh sunlight blazing on our tires daily so we love that this product conditions the tires to help protect their overall life from harmful UV rays. My husband said that this product made our tires look almost like brand new and it was so easy to spray on and use it. He highly recommends this product and has already told all of his buddies. My pet peeve is dirty windows so this was our next area to clean on the truck. We used the Beyond Glass Glass & Surface Cleaner (SRP $6.99). We sprayed it onto the dirty glass and this product almost immediately began to cut through the dirt. We have tinted windows so we are careful not to use products that have ammonia in it and were happy to learn that this one is 100% free of ammonia. We were very impressed that there were absolutely NO streaks at all left behind on the windows. It is very effective and I can’t remember a time that my windows were so sparklingly clean! Mark also likes the Speed Demon Wax Detailer (SRP $12.99) which is made with pure #1 Brazillian Carnauba wax. This product proudly states that it will never scratch the surface or streak which is one of the reasons that my husband is often hesitant to use other brand waxes. This spray product was very easy to use and works quickly so the waxing experience was very positive for us (not one of our favorite things to do previously). My truck was so glossy and we like that it indicates that it will actually “suspend dust” and one week later we see the actual proof of this as the truck still looks great. To clean the interior, Mark used the Dash Away Interior Cleaner (SRP $9.99) which cleans virtually anything on the exterior of the vehicle i.e. carpets, the dash, seats, floors, door panels, console, leather, cloth and vinyl. Wow, that really is everything isn’t it? This multi-use product works wonderfully and my interior looks great…he even got off some of the “crud” left behind by our three children underneath their booster seats, impressive! I love that there was no oily residue at all left behind as we have seen with other brand products and the inside of my truck looks like new. 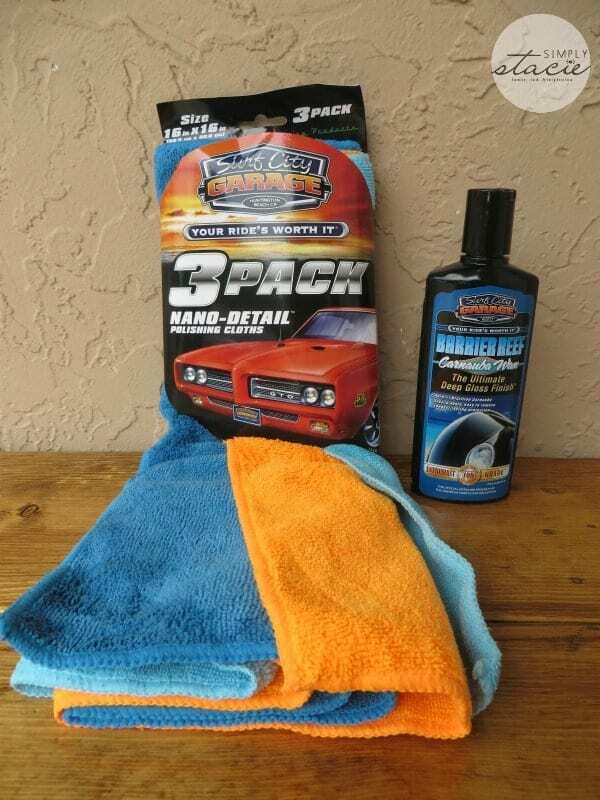 When stocking up at Surf City Garage don’t forget to add in some premium microfiber towels which really make a significant difference when cleaning and drying. Using only the best microfiber, these products were a big help when cleaning our trucks and Mark was impressed with the quality too. You are invited to visit Surf City Garage to browse the entire selection of auto care products and select your favorites. These would make wonderful gift ideas for any car enthusiast and the performance of these product is exceptional from our experience. I really like the Killer Chrome™ Perfect Polish. We will review your Sponsorship Request and a Surf City Garage representative will be in contact with your shortly. Please note that this form is merely a request for sponsorship and not a confirmation. Please wait to hear from us!! All sponsorship requests must be made 30 or more days prior to your event so we can have plenty of time to honor all requests! I learned that the company is located in Huntington Beach, California.